Remote home sites with no access to electricity, often depend on off-grid renewable energy systems to fulfill power requirements. 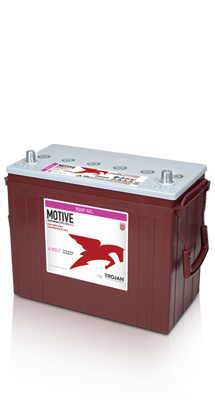 Trojan’s deep-cycle batteries enable these homeowners to optimize their renewable energy systems and provide a reliable, cost-effective power source to satisfy their home energy needs. The increase in energy consumption around the world places a tremendous demand on existing power grids; with frequent power outages becoming commonplace. As a result, the demand for inverter battery backup systems is growing. Paired with an inverter charger, Trojan battery backup systems provide stable and reliable power when the local grid is unavailable. Use of solar and wind power home systems are rapidly growing as renewable energy technologies become more affordable and available worldwide. Families which have no access or limited access to electricity can now use lights, appliances, or other electrical devices in the evening or when weather conditions limit the energy production of solar or wind systems. Trojan batteries are the ideal energy storage solution for these types of off-grid renewable energy applications, providing reliable and cost-effective power and performance. With 80 percent of the world’s population living in remote areas around the world, local schools, hospitals, and other community buildings in these regions often have no access to electricity. Off-grid battery-based renewable energy systems are being implemented to provide residents stable and reliable power. The use of Trojan deep-cycle battery energy storage solutions enable these communities to access electrical power for lighting, computers, refrigerators and other important equipment. Micro-grid systems powered by solar, wind and hybrid renewable energy sources generate consistent electricity in remote areas where grid expansion is not an option. The key to a successful micro-grid is a reliable energy storage solution using batteries designed for deep-cycle applications, such as Trojan’s line of deep-cycle flooded, AGM and gel batteries. A Trojan battery-based energy storage system provides dependable electricity to village residents.